Does Hot Water and Lemon Help You Lose Weight? What Does Hot Lemon Water Do for Your Body? If adding lemon to your hot or cold water helps you drink more, that's a good thing. There's no evidence, however, that drinking lemon and hot water together is going to help your body rid itself of toxic substances. Talk to your doctor before starting any detox diet. Many detox diets require fasting or limiting your intake to special drinks or juices. By comparison, the hot lemon water detox is fairly simple. There's no need to make any changes to your usual diet -- just add a cup of hot lemon water to your morning routine, according to a 2014 report from ABC News. Drinking the hot lemon water is said to help cleanse your body, improve digestion and lessen your appetite. According to ABC News, celebrities who use the drink claim it helps with weight loss, acne and vitamin and mineral absorption. While there are a number of meanings behind the word "detox," when it comes to diet it generally means ridding your body of substances that may cause harm, which might include alcohol, sugar, caffeine, red meat or any environmental toxin. But there's no evidence to support the claims that drinking a special drink, such as hot lemon water, helps your body rid itself of harmful substances. Your body is naturally very good at ridding itself of these substances on its own. When in good working order, your kidneys and liver filter all the bad stuff and help get rid of it through sweat, urine and feces. While it may not work as a detox, hot lemon water has its benefits. Water is an essential nutrient, and most Americans don't get enough, according to a report from Boston College. 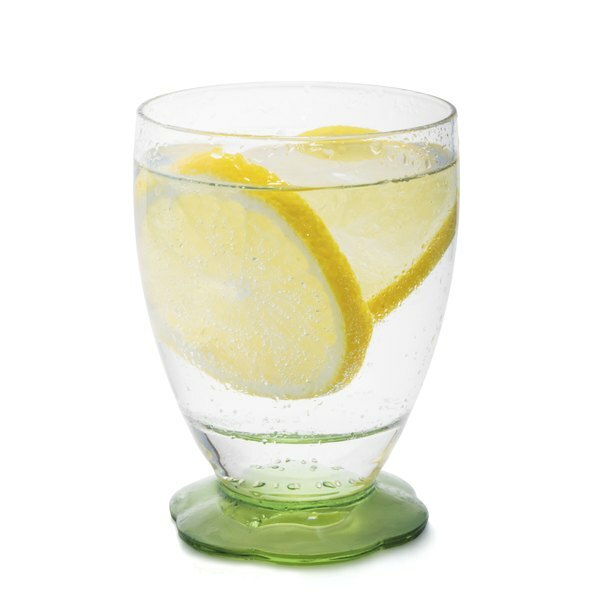 The addition of lemon in your water enhances the flavor and may help you drink more, while adding very few calories. For reference, the juice from one lemon has only 11 calories. In addition, lemon juice is a good source of vitamin C, meeting more than 30 percent of the daily value in the juice of one lemon. As an antioxidant, vitamin C may help prevent or delay heart disease or certain types of cancer. While there's no harm in adding hot lemon water to your daily routine, don't expect it to be the magical potion that fixes all your health woes. Whether your goal is weight loss or better health, the key is eating a healthy and balanced diet and getting regular exercise. If you're concerned about toxins, fill your diet with foods that help your liver and kidneys work better, such as fruits, vegetables, grains, healthy proteins and oils.